Our mission here at Wagner Nursery and Landscaping Co. is to utilize our God-given talents to make your landscape distinctive and of the highest quality. We work to give our customers a truly custom, highly functional landscape that they will enjoy for years to come. Our goal is to establish lasting relationships with our customers by gaining their trust and exceeding their expectations through exceptional work and service. We believe it is our job to guide our customers, helping them make the right choices through all phases of their project. We always provide our customers with the highest level of honesty, integrity, and service, because these are the principles on which our company operates. In addition to our nursery and landscaping services, we offer additional commercial and residential services—such as pond and water feature construction—throughout Montana. Call us today with any questions and we’ll be happy to help you decide the best fit for your needs. The multi-disciplinary team of Highridge Landscapes continues to provide an avenue for ideas and visions to collectively become reality. We believe in creation through innovation, quality, and teamwork. We are proud to be known for our tight-knit relationships, focused discipline, and superior quality, these traits allow us to continue creating environments on the finest properties in the Mountain West. Mayville Landscaping was started by Steve and Karen Mayville in 1996 as a small company. Over the past 18 years the goal was not to be the biggest but to be considered among the very best in our market. With that philosophy, Mayville Landscaping has grown into a full service design/ build Landscape Construction Company. 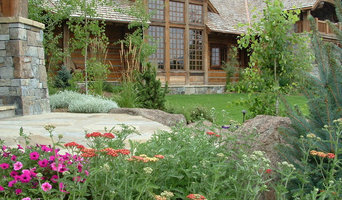 From the beginning our inspiration has been Montana’s natural beauty. . We draw from surroundings such as river bottoms, rock out croppings and mountain meadows to integrate landscape and architecture Our goal has always been to provide a superior product through the use of high quality material, superior installation and attention to detail. The combination of creative design, quality and a desire to deliver a finished product that exceeds the expectation of the client, has allowed us to work on challenging and rewarding projects with some of the finest builders and architects in Montana. Elevation Landscaping & Design will turn your vision into reality, with professional landscape design, 3D design rendering, and professional landscape installation and irrigation services. We do landscape installation and maintenance for residential and commercial projects. With Elevation Landscaping & Design you can Live Well Outside. ABOUT US Sprout Inc. was founded by Scott Urban and Paul Swartz in the winter of 2014. After working in the horticulture industry for a combined 36 years we thought it was time to take our own ideas and management practices to our own shop. OUR MISSION Our mission is simple: To create beautiful land and hardscapes, with passion and pride, through communication, proper planning and efficient, detailed installation practices. We will bring nature into your backyard with seamless transition. This stems from thoughtful design based off of our extensive experience in the industry. We use only high quality materials and pride ourselves on creating the homeowners vision, through to the finest details. For MT Landscaping it's about providing a professional grade experience to our customers from start to finish. MT Landscaping - "Turning Houses into Homes"
An industry leader in interlocking concrete pavers and retaining wall installations, Montana Hardscapes sets the standard for innovation and quality, in the products they sell, install and the design of outdoor living areas they provide for both homeowners and industry professionals. Founded in 2003, Montana Hardscapes offers a wide range of designer collections well suited for creating modern residential outdoor living and commercial outdoor environments. 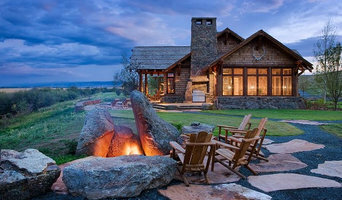 Montana Hardscapes ability to continually maintain the forefront of current luxury outdoor living trends has enabled them to continue to grow despite recent economic conditions. Montana Hardscapes offers an array of stone and paving stone styles, colors and textures for patios, flagstone walkways, interlocking paver driveways and for the rare Montana pool deck. The Natural Collection of paving stone styles crafted with uniquely contoured surfaces create a truly organic look and feel. Montana Hardscapes Antique Collection of paving stones that recall the time-honed appearance of Old European Cobble Stone. Valley of the Flowers Landscaping, Inc.
Valley of the Flowers Landscaping, Inc. is a full service landscaping firm that believes in environmental restoration and enhancement through professional landscape horticulture. We specialize in drought tolerant landscaping, native design and reclamation, wildflower fields, moss rock boulders, retaining walls, patios, water-wise irrigation, and perennial gardens. Everything we create is designed to bloom from spring through fall, bringing vibrant color into outdoor living spaces. Challenger Landscaping is a full service landscape and irrigation contractor that offers the convenience of working with one company. We work with you to complete a project that matches your ideas, needs, and budget. Hydro Logistics is the premiere sprinkler install and maintenance provider in the greater Gallatin Valley area. We pride ourselves on using the latest technology to create the healthiest and most water efficient sprinkler system possible. Our team has over 25 years experience in the irrigation industry and bring our collective knowledge to every project we work on to deliver the highest quality product possible. To see our past work and what we're up to now check out our Facebook at: <a rel="nofollow" target="_blank" href="https://www.facebook.com/hydroli/?ref=bookmarks">https://www.facebook.com/hydroli/?ref=bookmarks</a>, and our Instagram at Hydro406. We are a landscaping and snow removal company serving the Gallatin Valley and surrounding area. Call today for a free estimate. Welcome to Granite Peak Hardscape & Landscape. 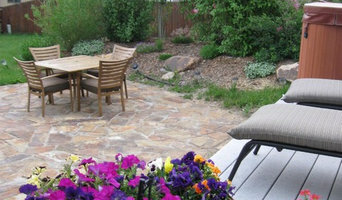 Granite Peak is a family owned and operated, full-service Bozeman landscaping company that was established in 2004. The owner, a native of Bozeman, Montana brings decades of experience to the industry. Granite Peak provides a one-stop shop for any area of landscaping and hardscaping, including design, maintenance (mowing & trimming), irrigation (and water wise irrigation), stone walls, stone patios (pavers and custom), water features (waterfalls, ponds), retaining walls, gardening (pruning, raised vegetable beds, planting i.e. wildflower fields, annual & perennial gardens), boulders, custom fire pits, grading, outdoor kitchens, outdoor fireplaces, fire pits, pergola’s, fencing, drought tolerant landscaping, native design and reclamation and lighting for residential and commercial clients. We offer the best snow removal in the business as well! Landscaping is an important part of an establishment's visual impression. We believe it ought to be beautiful, thoughtful, and extremely well done. Always. Here at Native Landscapes & Reclamation we offer a wide variety of hardy Montana native trees, shrubs & perennials. Native Landscapes began 16 years ago, based out of nothing but a shed in an alley on H street in Livingston, Montana; with a very determined and hard working man behind the wheel, driving it towards success in the years to come. For 7 years we focused on custom and residential landscaping, growing into the business we are today. Eventually we moved our location to a much larger, more accommodating space where you will find us today; here we grew from a holding yard, to a retail nursery and currently, a garden center. The man behind Native Landscapes is Dave Jensen, originally from Matetsi, Wyoming; who now, 16 years later resides in Livingston, is a father of 2, an avid soccer player and employs a crew of at least 12 local residents. Coming from a ranch/farming background, attending college, obtaining a degree in plant & soil science with a specialty in reclamation, and now the owner of a thriving, hard-working and local business. Of course every business has a boss, but in order to make that business grow and function well, you need a valued team of employees at your side; two that have stuck with us the longest are Tyler Aevermann and Brian Webb. Tyler has been with us for 6 years now and Brian for 5. Tyler, a Montana Native, was born in Havre and moved to Livingston in the 5th grade. He attended the University of Montana in Missoula, heading towards a degree in forestry; coming to work here in 2006, with a strong employment background in sprinkler systems and landscaping. Brian has been a resident of Montana since the year 2000; coming from a 6 year maintenance position in Yellowstone National Park, to the 5 valued years he has spent with us here at Native Landscapes. What does a Big Sky landscape contractor do? Landscaping contractors execute lawn, garden and hardscaping plans that have been drawn up by an architect or designer. They may also provide design services on their own. After the everything has been installed, landscape companies can make adjustments, maintain plantings, take care of weeds and pests, and perform other tasks to keep the scheme looking its best. A licensed Montana landscaper should have detailed knowledge of Big Sky, MT weather and climate trends and conditions, and can choose plants and materials that are well suited to the area. 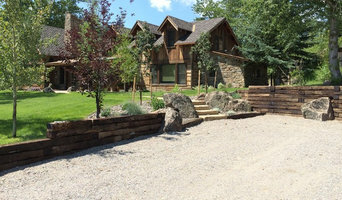 Residential landscape companies in Big Sky, MT also handle many of the same general duties as builders, including arranging for construction permits, hiring subcontractors and making sure that designs comply with Montana building codes. 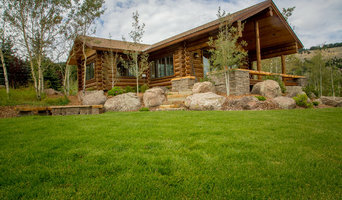 Find Big Sky landscaping services on Houzz. Narrow your search in the Professionals section of the website to Big Sky, MT landscape contractors. You may also look through photos of Montana landscapes to find one you like, then contact the landscaping company in Big Sky, MT who worked on it.